I shared where I work, a little bit of my story on how I got here, what I do, some manufacturing 101, and the exciting, real career opportunities for them. I started with a little history and shared the NIST MEP infographic about Alexander Hamilton and his Report on the Subject of Manufactures, which changed our country and put us on the path to economic prosperity and sovereignty. See how you’d do with a few fun facts, like the ones I shared with the class. The answers are at the end, so please don’t peek! 1.How many jobs are there in manufacturing? 2. Manufacturing contributes more than $2 trillion to the U.S. economy. 3. What was the average salary in 2016 for manufacturing workers? Learning about manufacturing doesn’t have to stop there. 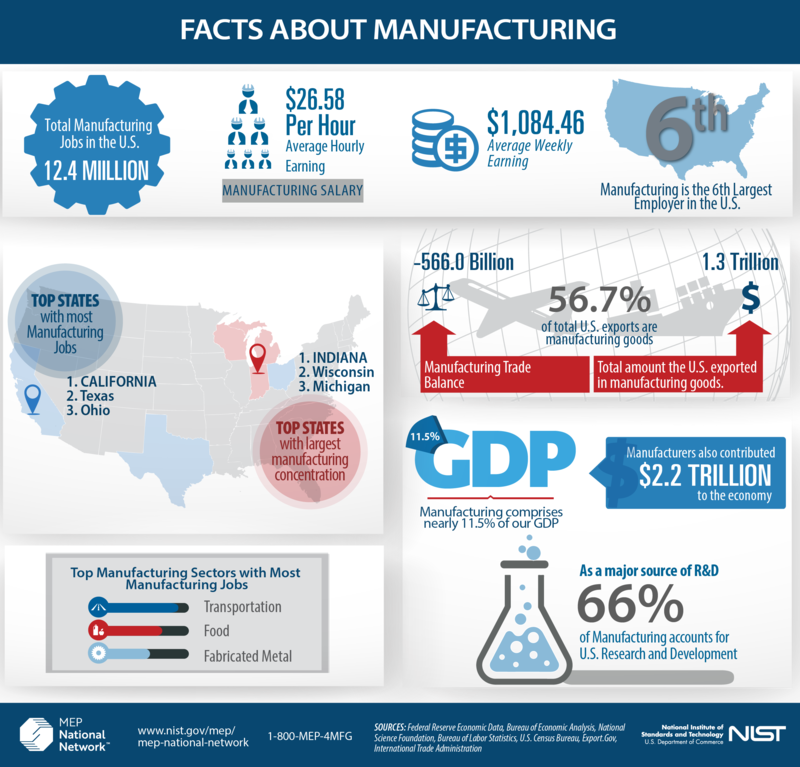 A recently updated Facts About Manufacturing infographic has even more interesting industry data. Many of you have done these types of STEM-related outreach efforts to tell the story of manufacturing, the ways in which manufacturers make great contributions to communities across the country, and the wide array of good careers available. These efforts really do make a difference in changing perception and inspiring the next generation of manufacturers.